Simple golf drills are the best! With 15 minutes of chipping practice before my round, I try to simulate what I will experience on the course. This drill uses the available course equipment and works all three of my Titleist Vokey wedges. I like to start with my gap wedge, then sand wedge and finish with my lob wedge. I keep the same launch spot for all the shots for consistency of aim during all the chips. This drill follows the KISS theory and I use it almost every time I warm up. Chipping is the second most important skill to master in golf; It sets up your putting (the most important skill to master). The closer the ball is to the hole, the easier the putt. I spend almost as much time working on my chipping as I do on my putting. Understanding the influences for each chip, which varies every time, is very important. To be considered an expert short game player, I believe a 70% up-and-down percentage is required. To achieve this goal, a golfer should understand how the ball responds off their wedges and which wedge to use when. That comes with practice and all practice should not be arduous! How many times have you heard the question – should I replace my 5 wood with an extra wedge. In 1980, Tom Kite was the first pro to put a 60 degree wedge in his bag. He and Dave Pelz, a former NASA physicist, worked on creating the lob wedge to fill a gap determined by Pelz’s research. It is a famous story and if you want more details the story check out the February 2013 edition of Golf Illustrated. That unlikely team changed the face of golf. In 2012, I replaced my most beloved Callaway Warbird 5-wood for a 60 degree Titleist Vokey wedge. It originally started as an experiment, but has turned into a sure thing for my golf game. This decision fit my game well as it continues to evolve; yet sometimes I think that there might be a different solution! 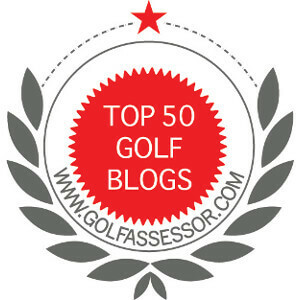 Golf Mats – Pro or Con?